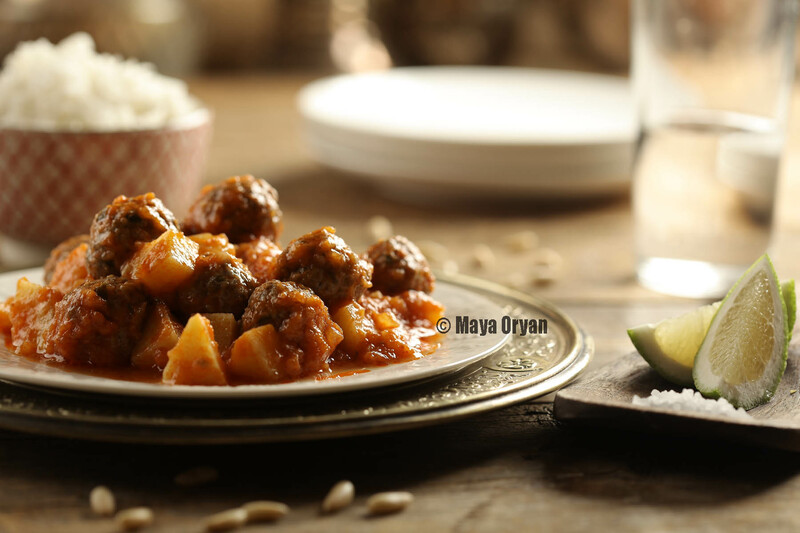 This entry was posted in Main Course and tagged apples, authentic, Daoud Bacha, Healthy, homemade food, Lebanese food, lebanese food blogger, Maya Oryan, Mayas Ingredients, meatballs, middle eastern cuisine, pine nuts, potatoes, tomatoes, traditional by Maya Oryan. Bookmark the permalink. These sound delicious; simple but absolutely full of flavour.